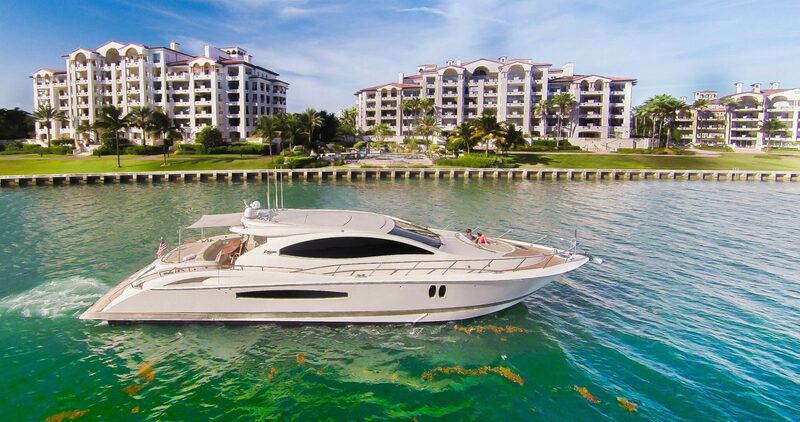 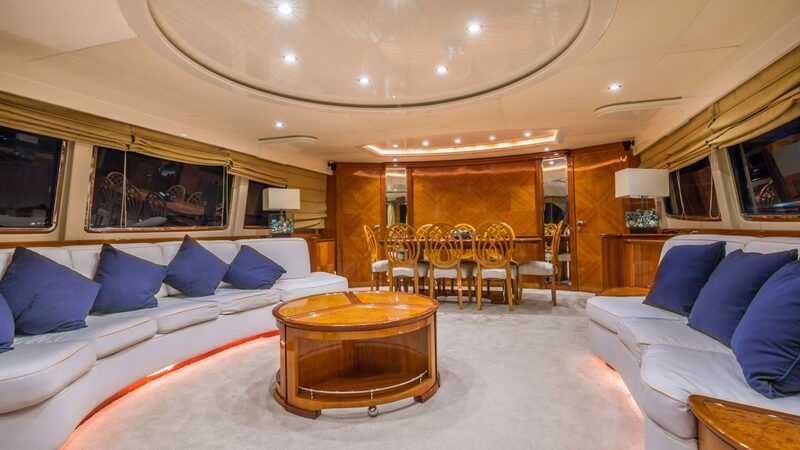 Rent the 100′ Azimut Luxury Yacht Today! 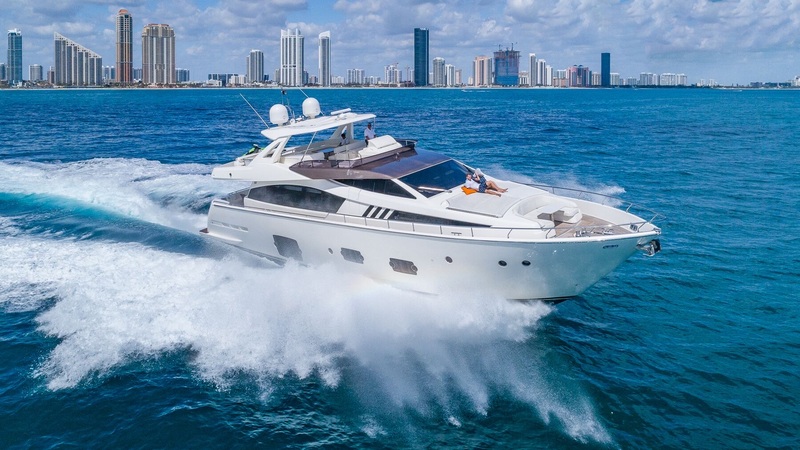 The 100ft Azimut is impossible to ignore; so easy to desire. 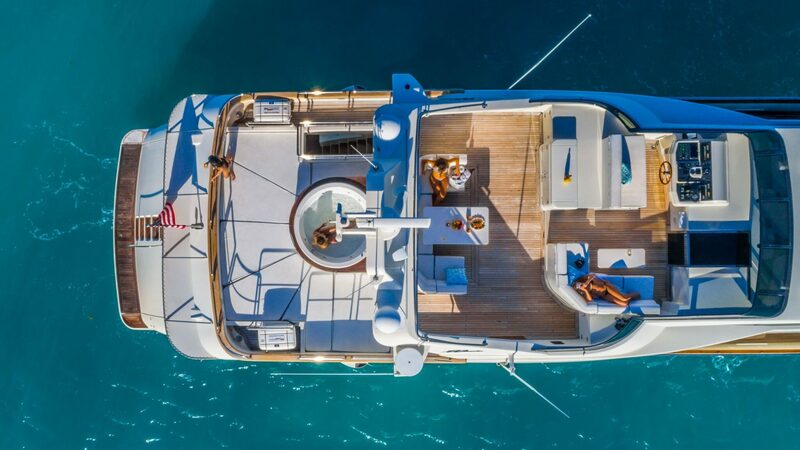 With a stunning design that will captivate you and your guests, simply stepping aboard the 100ft Azimut charter yacht is truly an amazing experience. 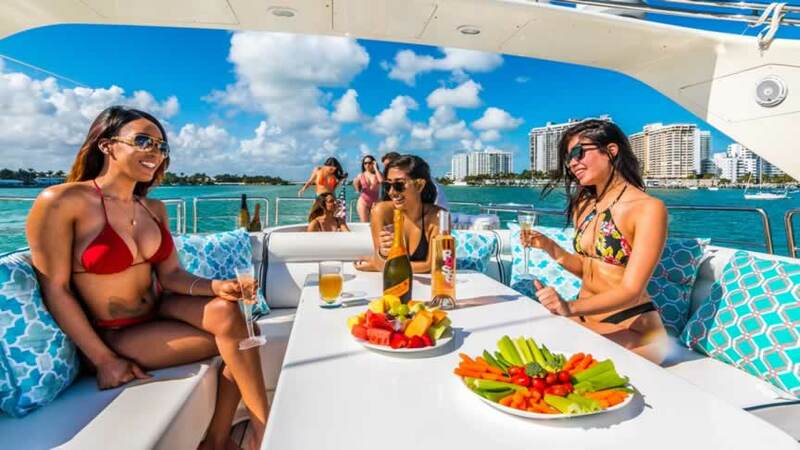 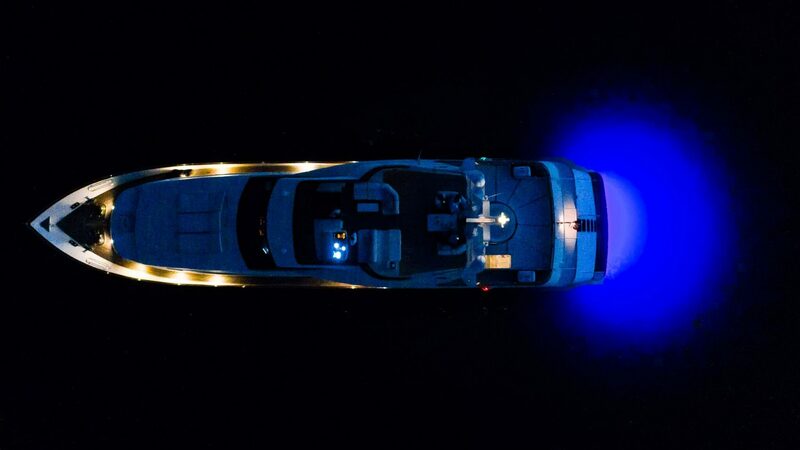 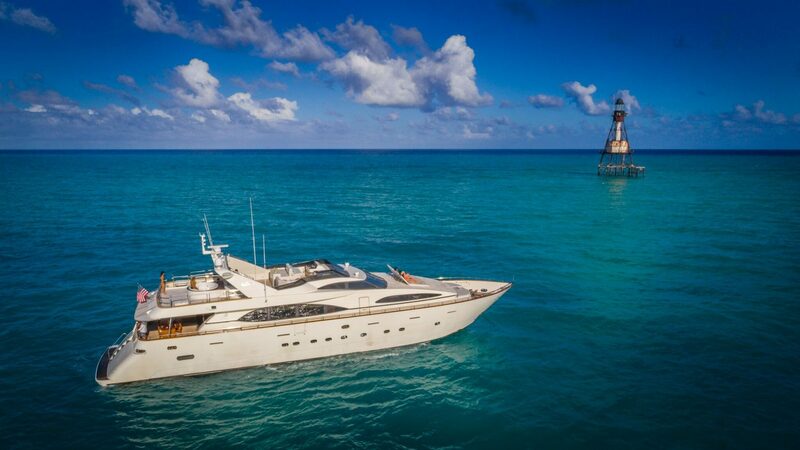 She offers over one hundred feet of pure elegance that glides through the Miami & Bahamas waters at a cruising speed of 15 knots as well as a luxurious interior, state of the art technology, an array of options for guests of all ages and inclinations. 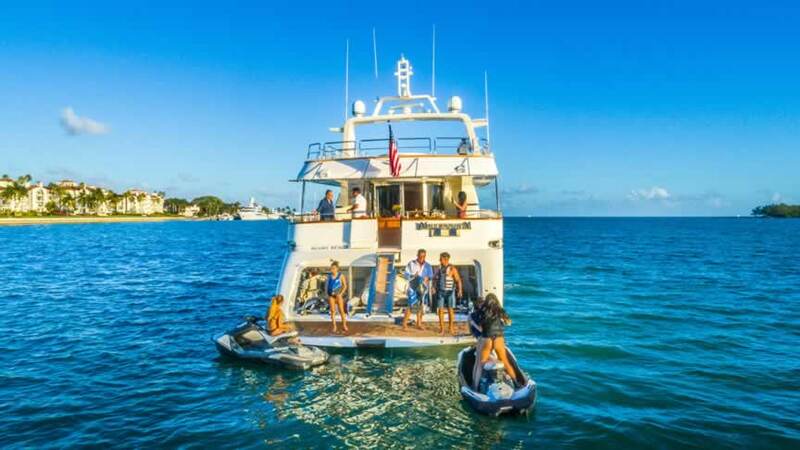 Water toy options include 2 jet-skis, inflatable trampolines, floating islands (term charters only), kids’ kayaks, snorkel gear, paddle boards and more, allowing you and your guests to have plenty of fun in the sun. 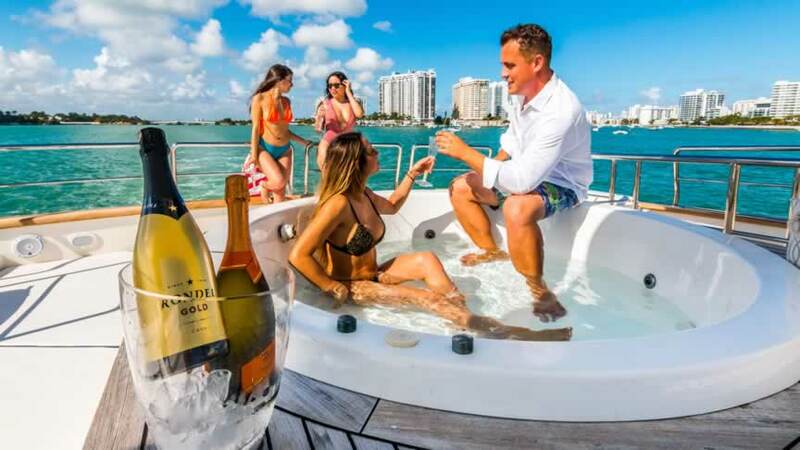 In addition, there’s a swim platform, a deck shower, a jacuzzi and spacious sun beds, along with a barbecue grill and seating for al fresco dining on all 3 levels. 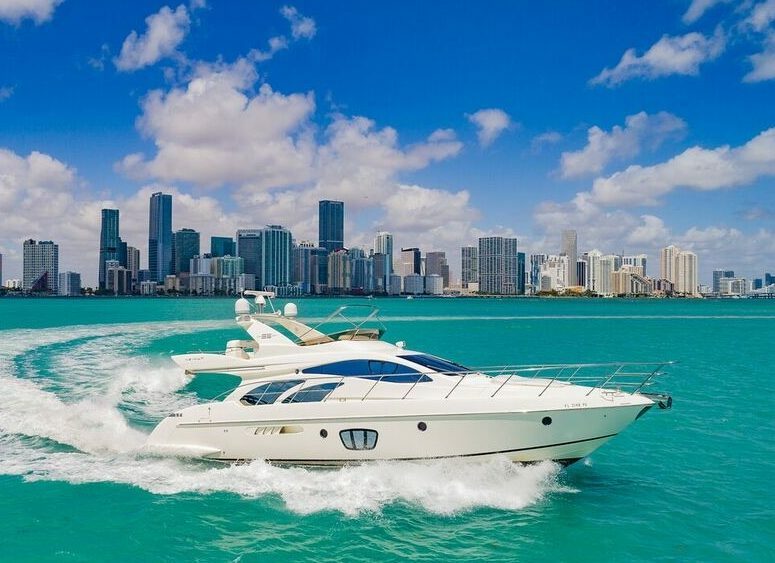 You’ll never want to set foot on land again! 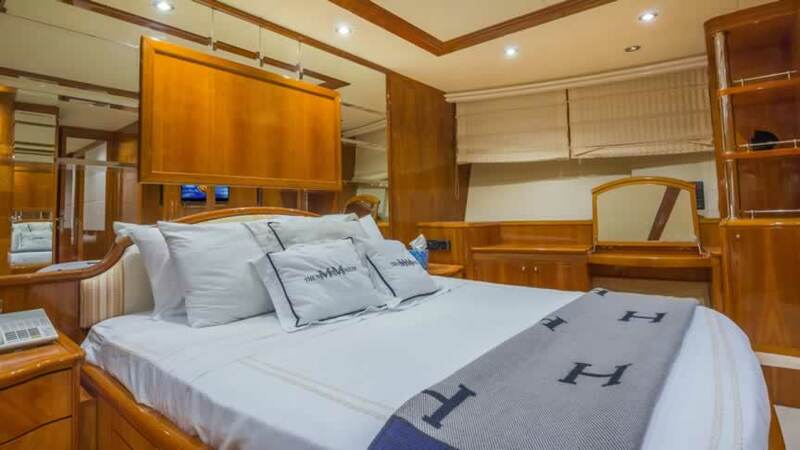 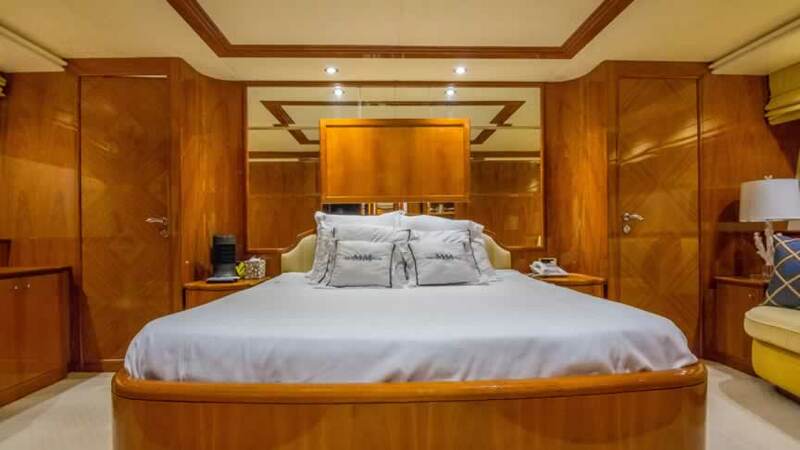 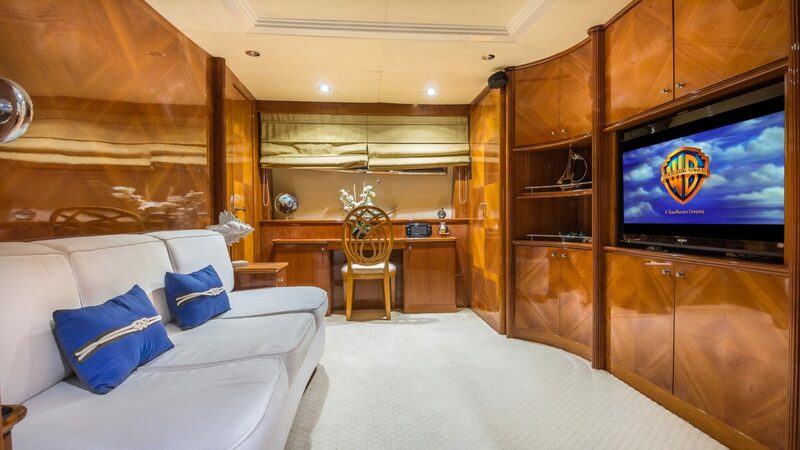 With room for up to ten guests in five staterooms with in-suite baths and four crew members. 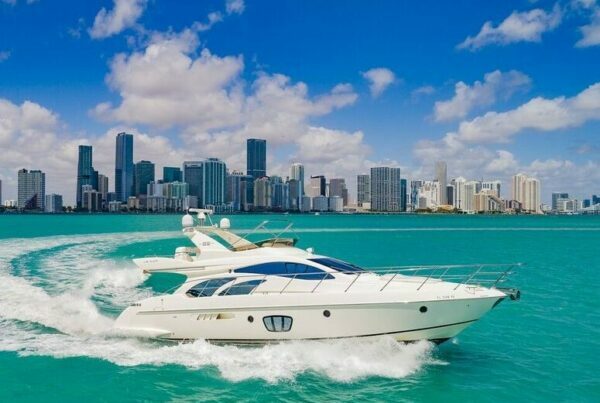 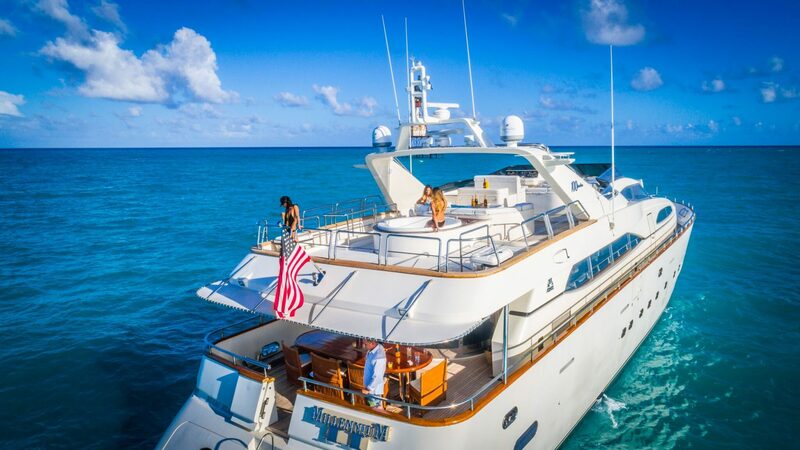 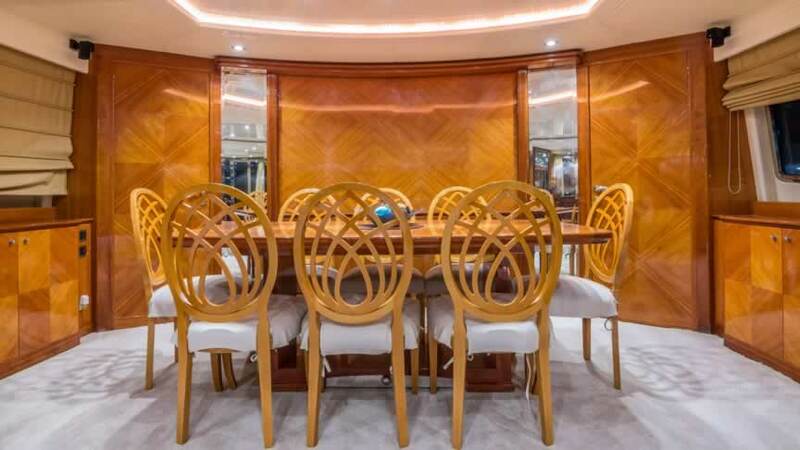 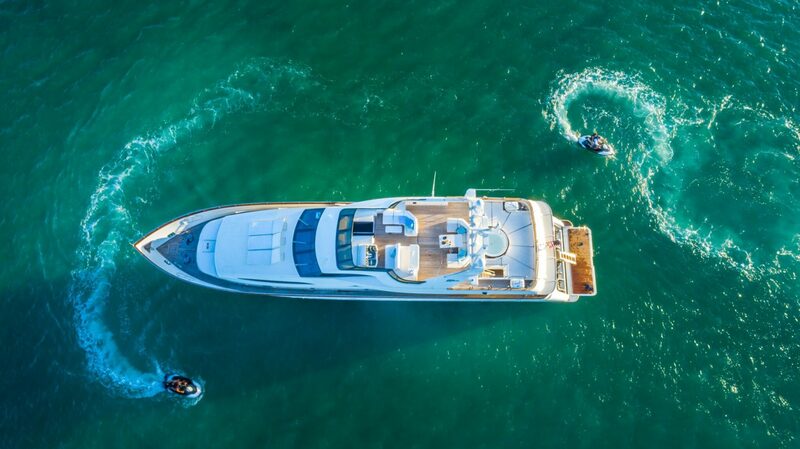 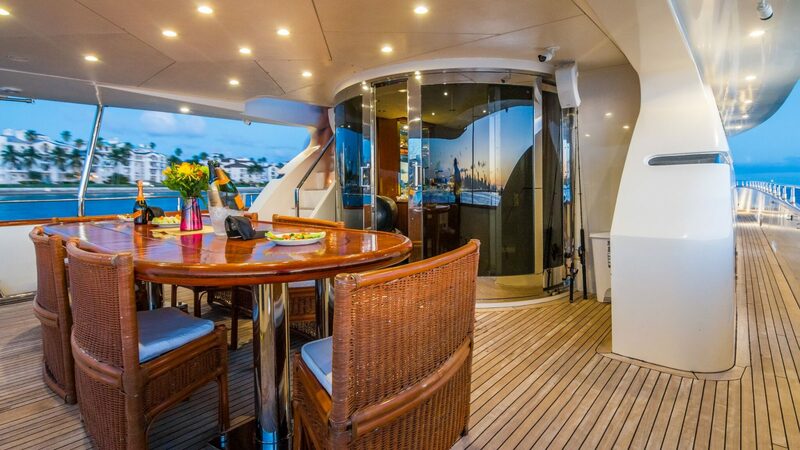 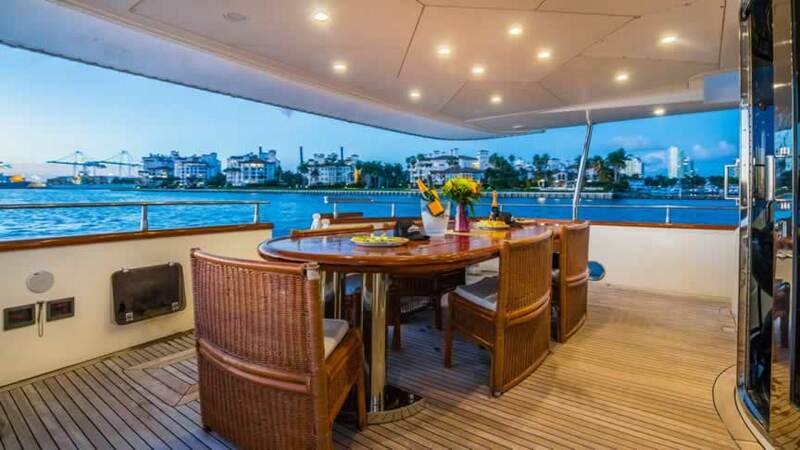 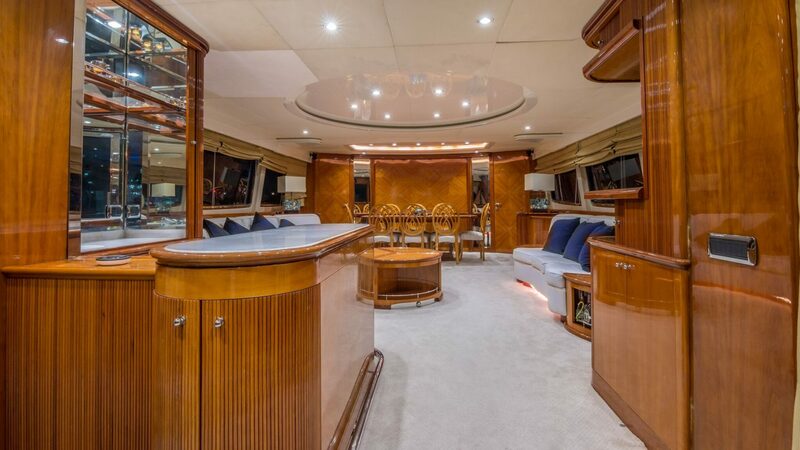 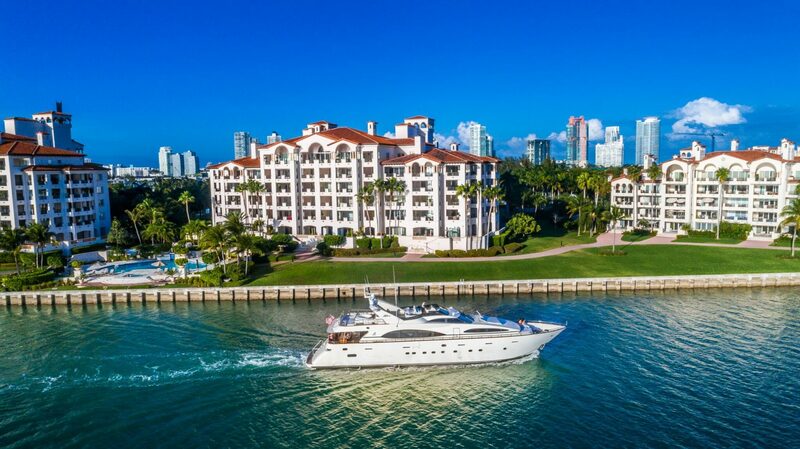 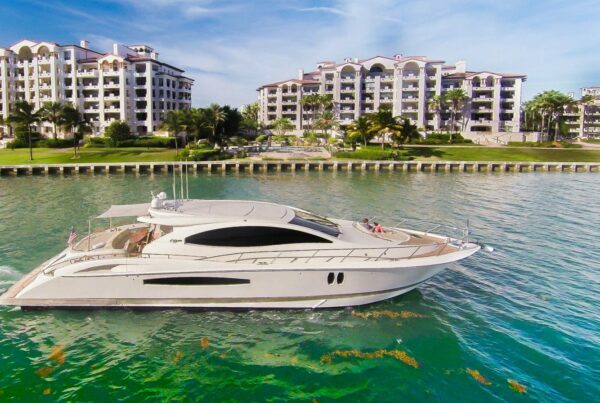 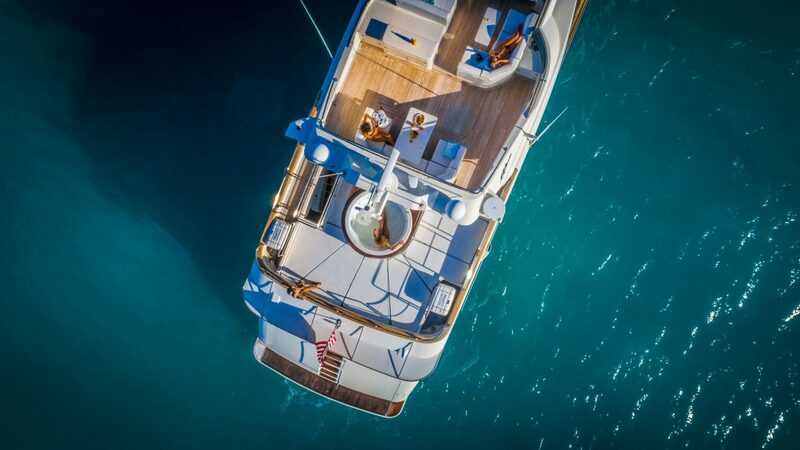 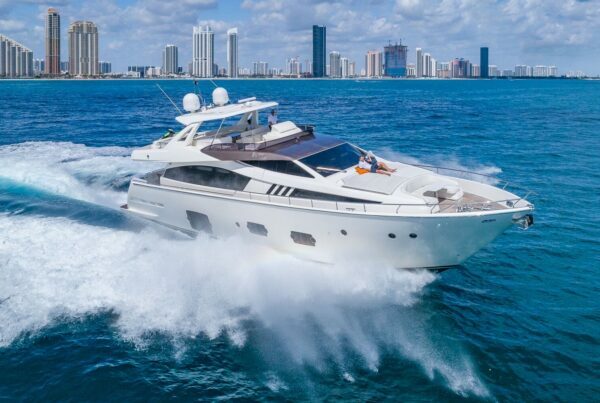 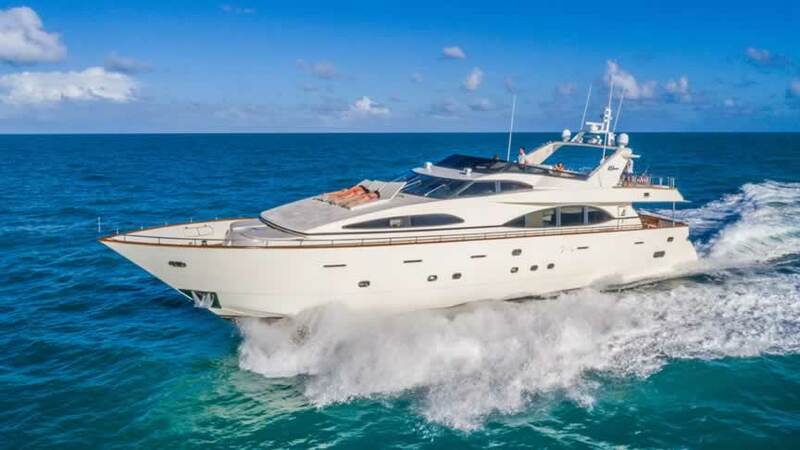 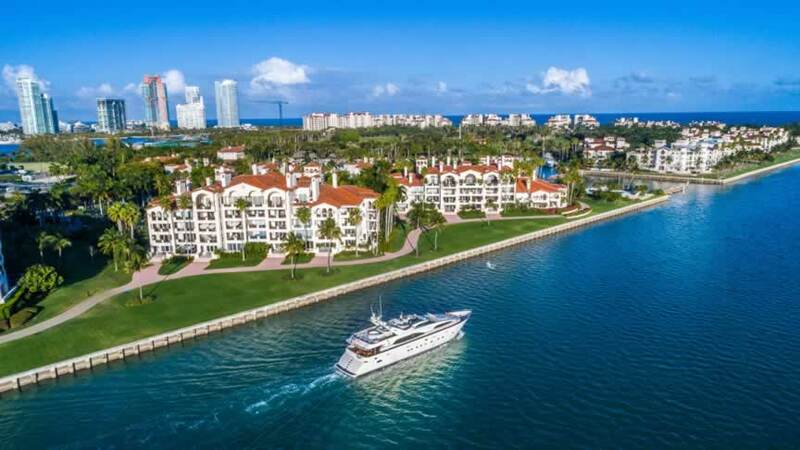 This charter yacht is the perfect choice for a day trip through the Intracoastal waters of Miami or a spectacular long-term charter to the Bahamas.